Warm holiday wishes to you and yours! 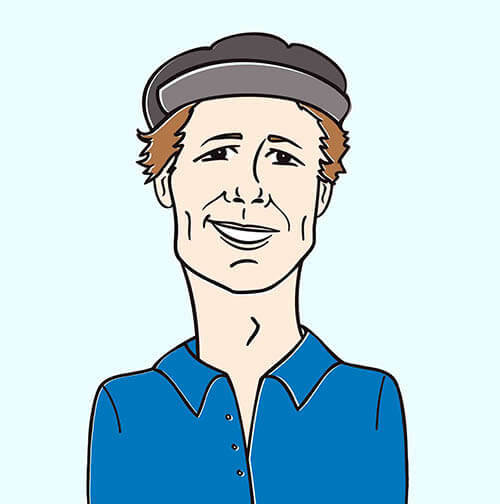 It’s Andy Gesner and the staff from HIP Video Promo, here to bring you a collaboration between one of America’s best-loved young singer-songwriters and an inspired director with an inventive, artful, crystal-clear filmmaking style. Over the course of three critically-acclaimed albums and a split-LP with Calexico, Sam Beam of Iron & Wine has developed a distinctive and immediately recognizable voice: hushed, intimate, intense, delicate, but often deadly serious. Lauri Faggioni’s work as a sculptor, toymaker, choreographer, and animator is characterized by its beauty, generosity and radiance, and has brought her international recognition as a creative polymath and visionary. Faggioni and Beam share a dedication to emotional detail, and their collaboration – the video for “Boy With A Coin”, lead single from The Shepherd’s Dog – bears the mark of both artists’ startling sensibilities. 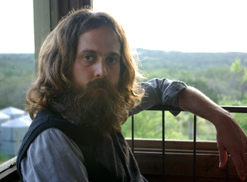 Like most of the songs on The Shepherd’s Dog, “Boy With A Coin” is a stylistic departure for Iron & Wine. Beam’s voice and guitar are still the soul of the track, but he’s also incorporated wah guitar, handclaps, and Latin percussion. The result is simultaneously exotic and familiar, engrossing and mysterious. Beam whispers about a flipped automobile and a “town that all of us burned”; his imagery is stark, chilling, ominous, and wholly captivating. Lauri Faggioni’s brilliant clip for Devendra Banhart’s “Ribbon” made its debut at the MoMA – to Faggioni, the music video is an artform, and it’s no surprise that museums are interested in her work. Mainstream videomakers recognize her talent, too: she won a MVPA award for the clip. The “Ribbon” video was co-directed by Michael Gondry; Faggioni has worked with the Eternal Sunshine Of The Spotless Mind filmmaker on The Science Of Sleep and other projects. Gondry and Faggioni have collaborated on several stop-action animation projects, and the original concept for the “Boy With A Coin” video incorporated cartoons and drawings. But once Faggioni heard the song, she was struck by a different idea altogether: flamenco dancing. Faggioni’s video opens backstage: the black-dressed dancers are stretching and getting ready to perform. They walk together into a rehearsal room in a red-bricked studio; Sam Beam sits with his guitar against the mirrored wall, and Yaelisa stands beside him. She claps her hands and he begins to play – and the dancers take to the floor and, in perfect formation, execute an elegant routine. They clap along to the percussion in the song, gyrating as they do. Sam Beam watches them, hovering between hypnosis and fascination; Yaelisa watches them with the scrutiny of a hardened instructor. Halfway through the song, they retire to Beam’s side, and the teacher takes the floor in a long feathered dress. Her pupils watch in admiration as she moves gracefully across the hardwood. Curved black lines appear on the floor as she twists; these vanish almost as soon as they’re drawn. Feathers from the back of her gown rise into the air behind her, streaming toward the open window as if animated by the force of her grace. It’s been a while, but it’s safe to say we’re incredibly elated to be working again with Lacey Swain and Megan Jasper at Sub Pop Records to bring you a video from an artist who is one of our very own personal favorite HIP alum! The Sub Pop camp has hooked us up with copies of Iron and Wine’s latest album, The Shepherd’s Dog, so don’t be shy if you’d like to request a copy for an on-air giveaway or contest. As always, if you need more info, call Andy Gesner at 732-613-1779 or e-mail us at HIPVideo@aol.com. You can also visit www.SubPop.com, or www.IronAndWine.com to find out more about Iron & Wine.